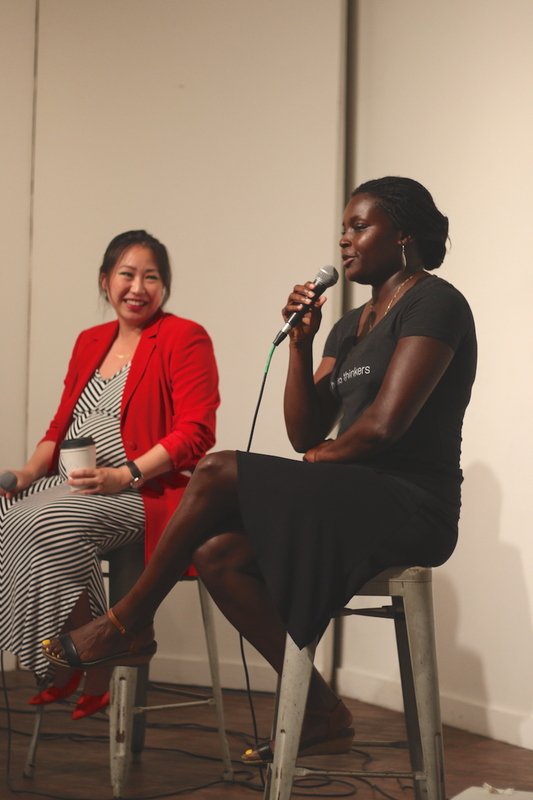 On September 28 at REVELRY, we hosted the third and final session in our summer installation of our SHE TALKS series exploring lifestyle design. Click on the following links for recaps and live streams of Session 1 and Session 2. 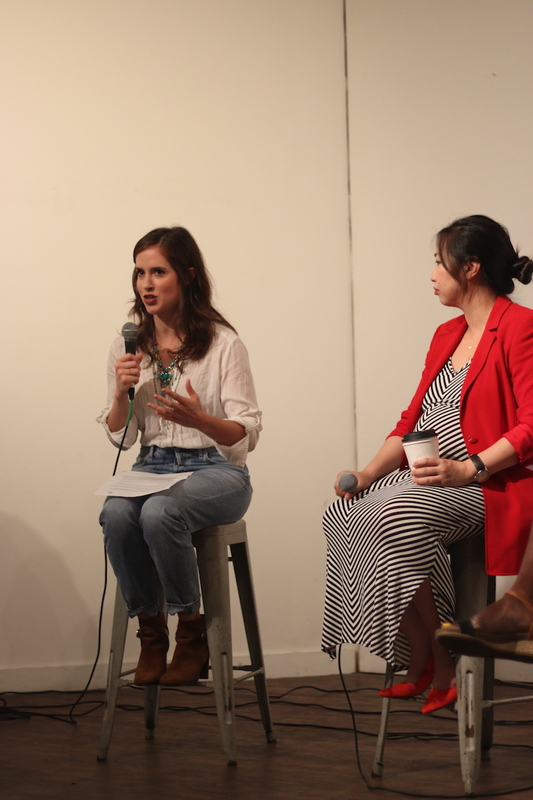 Hosted at REVELRY, this third session featured three panelists, chatting their holistic approach to "work/life balance" and boundaries, as well as a negotiation activity led by Tanya Tarr. Didn't get to attend? Want the recap? Watch the livestream of the conversation and view photos from the event here. Following the conversation, we closed the event with a negotiation and lifestyle activity led by Tanya Tarr. Hannah Black (panelist) recently joined Google as a cloud technology account executive in early 2017. Prior to Google, Hannah was in corporate finance and technology sales at IBM. She currently leads Google Cloud’s local diversity initiatives and is a passionate advocate of minority rights. She believes technology and personal finance are essential to having agency over our careers and lives, which informs most of her community involvement. In her spare time, Hannah enjoys collecting vintage toys, taking regular trips to Disneyland, and hanging out with her Pomeranian, Zoe. She holds a Bachelor of Business Administration degree in finance from The University of Texas at Austin. Magatte Wade (panelist) is a passionate adventurer and idealistic entrepreneur. Born in Senegal, educated in Germany and France, she left for the U.S. as soon as she could to begin my career. Here she lived and worked in Silicon Valley at the height of the dotcom boom, started a beverage company that obtained national distribution at leading natural food retailers and distributors, and at its height featured former top executives from Peet's Coffee, SoBe, Odwalla, and PepsiCo. She now leads initiatives at Skin is Skin. Ivy Le (panelist) was in the AT&T War Room when the Apple iPhone launched and irrevocably changed the Internet’s role in business and in our daily lives. She led the business-to-business committee on Jackson Spalding’s social media team, and she speaks frequently at her alma mater, the Grady College of Mass Communications at the University of Georgia. She has published poetry and nonfiction, as prolifically producing content in her personal life as in her professional life. Tanya Tarr (activity lead) is a certified integrative health coach specializing in recovery from adrenal fatigue and exhaustion. Her practice brings together restorative nutrition, time management techniques and collaborative negotiation skills to help people "stay in the stress" of demanding lives, supporting people in creating their way to success. She's also a regular contributor to Women@Forbes. Aceable is a mobile-first platform for certification and training courses, ranging from drivers ed to real estate continuing education. At Aceable, they believe that everyone should have access to education. They believe that certification and value-added training should be cost-effective, yet also high quality. They believe that learning should be a joy. They believe that by delivering innovative, outcome-focused courses we can empower people to thrive in life and succeed at what they do. They are a team of teachers, designers, writers, engineers, customer experience heroes and those passionate about education who love what we do. They are the new standard for learning. They are certification courses for the 21st century. Together, we are driving education forward. You can learn more about Aceable at aceable.com and aceableagent.com. Learn more about why dot orgs and dot coms should collaborate and specifically the message behind our partnership with Aceable here. This was the last event in our summer SHE TALKS sereis, but they're will be more! Stay tuned for our upcoming productions here.